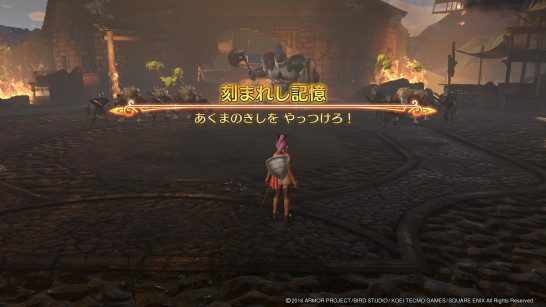 This page contains a full walkthrough of the Main Quest Prologue in Dragon Quest Heroes 2, including enemies, objectives and strategy. 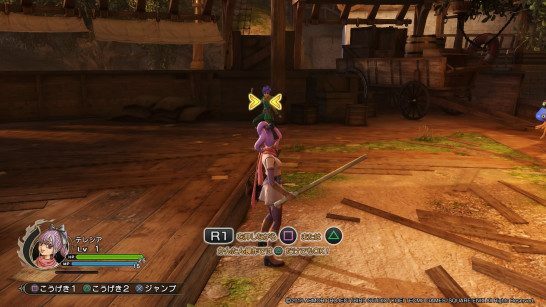 The Prologue part of Dragon Quest Heroes 2 serves as the tutorial for the basics of combat in the game. You will be up against a large knight. Don’t worry about him retaliating since he only serves to let you get a feel for the combat in the game. Try unleashing attacks on him by pressing either the □ or △ button. Healix will guide with the attack commands in the game. As mentioned earlier, you can press either the □ or △ button to perform attacks. A basic combo is executed by inputting “□ □ □ □”. When surrounded by enemies, you can perform “□ □ □ △” to keep them at bay. For dealing with a single target, it is good to use “□ □ △ △”. 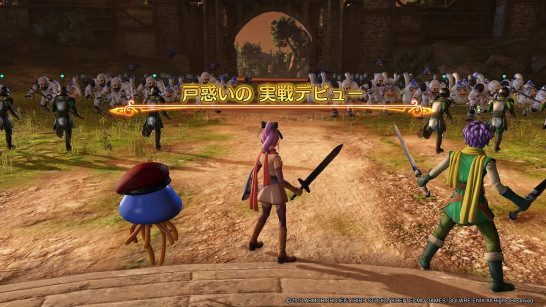 Defense and evasion is among the cornerstones of combat in Dragon Quest Heroes 2. You can guard by pressing the R2 button, and evade with the L1 button. Remember to be mindful of when to actually defend or evade. Also note that invincibility frames that trigger for a certain duration only when evading by carefully timing your execution. You can perform Special Attacks by holding down the R1 button and pressing either the □ or △ button. Bear in mind that Special Attacks consume MP, which can be replenished gradually over time or by using certain recovery items. You will be taken to another battlefield with a horde of monsters all around. They are quite easy to defeat so feel free to experiment with the different attacks that we’re explained in the tutorial. As you successfully perform combos, the Tension Gauge will gradually fill up. When it is full, press the ○ button to activate High Tension. The High Tension status provide a range of beneficial effects. These range from temporarily negating damage, recovering HP or performing Special Attacks without using MP. 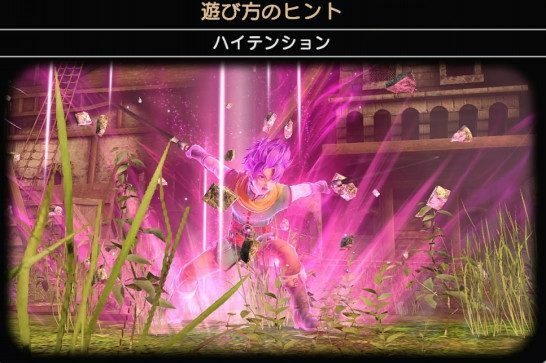 When in High Tension, you will also be able to perform a unique High Tension Special Attack by pressing the ○ button. Since this is among the most powerful attacks that you can unleash, it’s best that you save it for tougher enemies on the battlefield. Below are some of the monsters encountered in the tutorial along with their dropped items upon defeat. 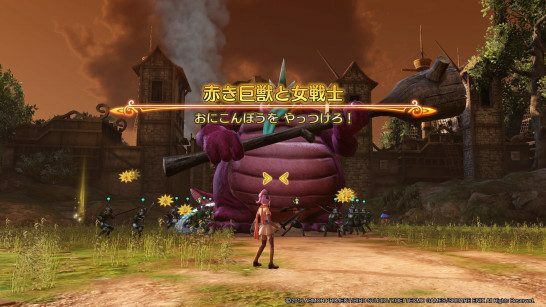 At the end of the tutorial, you will have the chance to test all that you’ve learned earlier by defeating the boss. Remember to stay mobile and avoid the its attacks, attacking when you see an opening. You don’t have to worry about being defeated at this point since Healix will heal you when your HP is low.